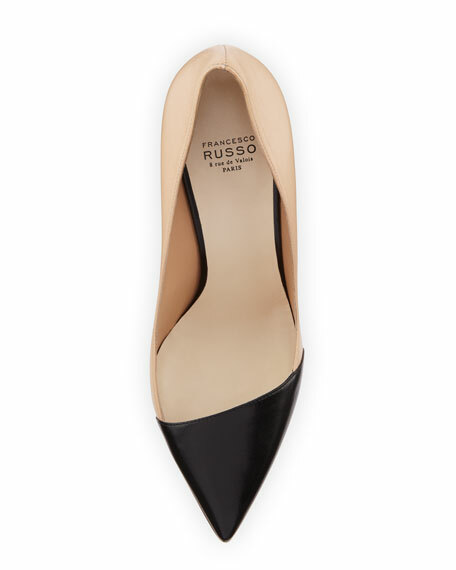 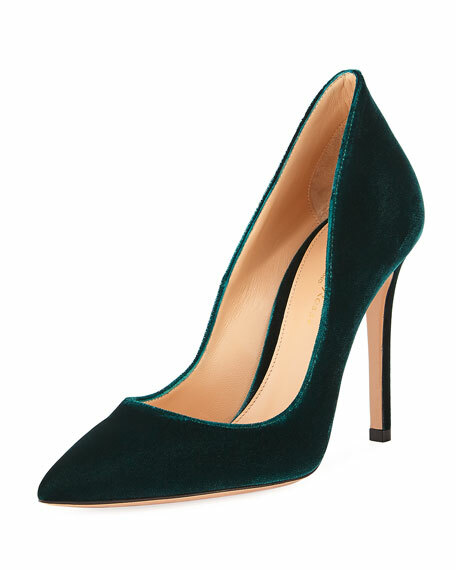 Francesco Russo calf/goat leather pump. 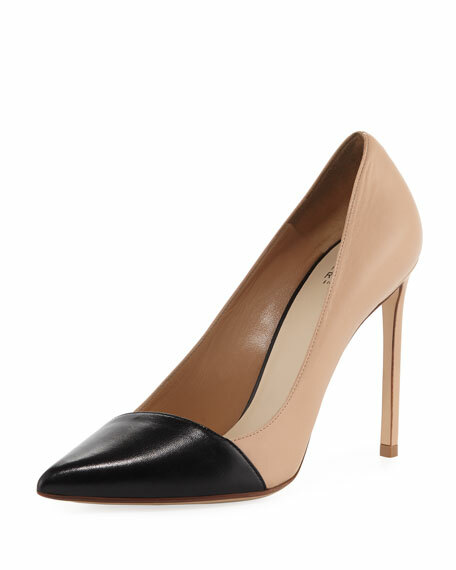 Pointed toe with diagonal cap. 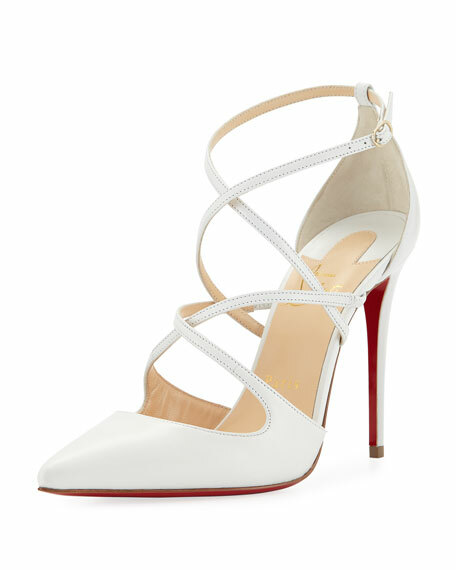 For in-store inquiries, use sku #2468552.